Harvard-trained and board-certified Plastic Surgeon, Dr. Anthony Perrone, recently followed his love of the arts and combined it with his other passion of providing minimally invasive aesthetic procedures by opening his restorative medical practice - Skin Medical Aesthetics and Wellness. 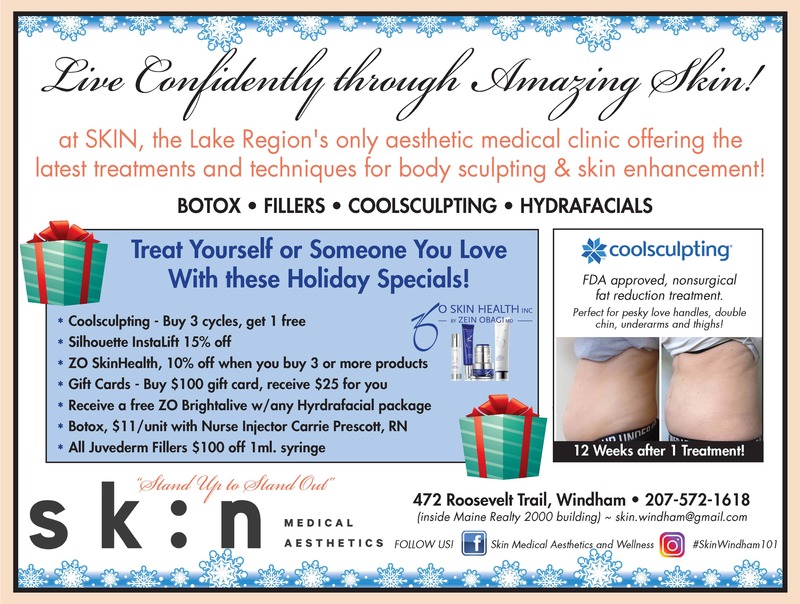 Located at 472 Roosevelt Trail in Windham, Dr. Perrone offers a variety of safe and scientific based skin care services in a medical setting that is a first and only in the Lakes Region area. 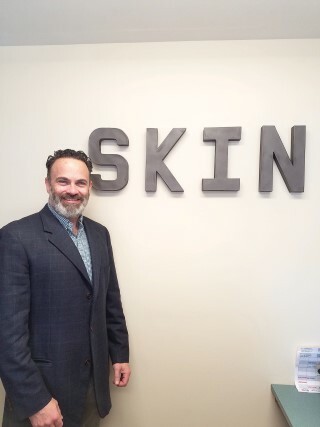 At Skin Medical Aesthetics and Wellness (SKIN), there are a variety of services from which to choose. Whether it is Botox® or fillers, high end multifunctional Hydrafacials®, Coolsculpting® (non-surgical treatment for tissue reduction), Kybella® (a targeted tissue reduction treatment) or Insta-lift® (facelift), SKIN offers amenities in a safe medical environment along with along with a complimentary educational consultation prior to the service of choice. To make important health care decisions, the client needs to be aware of the procedures they are electing to undergo. I’m here to support people in their journey to achieve their ultimate vision of themselves in their skin. There is also a CoolSculpting® room “This form of therapy freezes stubborn tissue while protecting the skin. It’s perfect for the person who has tissue resistant to diet and exercise.” Perrone explained but reiterated that this therapy is not a substitution for nutritious eating and regular exercise. But aesthetics are not the only focus at SKIN. Athletes can also benefit from a detoxifying lymphatic treatment to promote recovery. “This therapy will help to accelerate recovery between workouts or events.” stated Dr. Perrone. Dr. Perrone will customize a step wise approach so clients will achieve their desired outcome. “I will encourage individuals to stand up and stand out. I will provide an individual with the education to make an informed and personalized decision that is best for them” he stated. For more information about SKIN services and to see many results from real people just like you, follow Dr. Perrone and Skin Medical Aesthetics and Wellness on Facebook and Instagram, call 207-572-1618 or email at skin.windham@gmail.com.